Political intrigue and environmental ethics collide in American Serengeti when a tough, ambitious and calculating energy consultant tries to outwit a rising environmental prophet and finds herself joining his fight to save the fragile beauty of the Arctic National Wildlife Refuge. Molly Marlowe is going places. Comfortable in her position as a renowned energy expert, she thinks nothing of staring down chauvinist bosses and powerful politicians alike. But when a routine trip to Congress throws her into the path of Joe Wardrop, an equally brilliant and charismatic environmental activist, Molly's world is turned upside down when she agrees to leave the comfort of her corporate city life for the untamed beauty of Alaska. With Joe's help, Molly chooses to save the peaceful and fragile serenity of this American Serengeti. But she cannot outrun the brutality of her past life - she must act quickly before she becomes a casualty of the war between big business and Mother Nature. 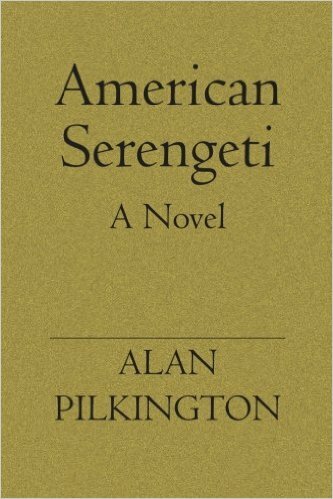 Spanning the streets of Manhattan and the vast landscapes of the Alaskan wilderness, American Serengeti is a taut, timely political thriller that both entertains and enlightens.